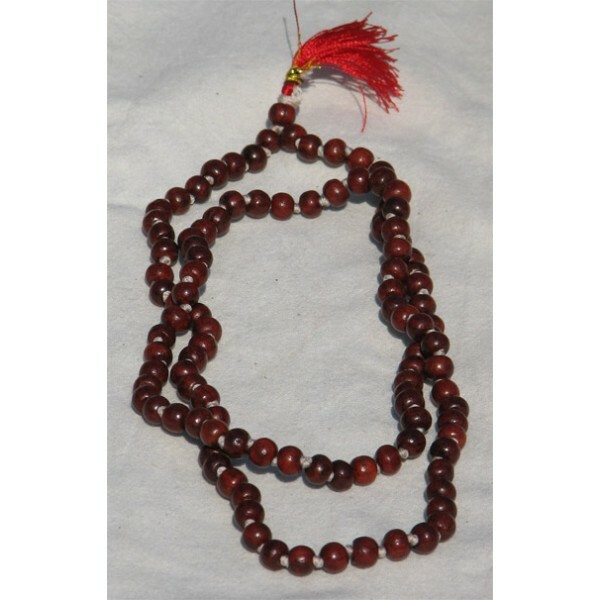 Rosewood japa mala, 28 inches in length (with small, smooth, round beads; superfine quality). Total there are 108 beads in the mala with each bead being around 7 mm in width. This mala may be used either for japa or for wearing on the neck. We sell only 100% pure authentic rosewood malas of the highest grade. Be very careful of duplicates when purchasing sphatika, rudraksha and rosewood malas.